Sirpa Kähkönen’s grandfather, a committed communist, spent seven years in a labour camp during the 1930s. Amidst the heightened political struggle, hatred and broken dreams, the flames of forbidden love endured. 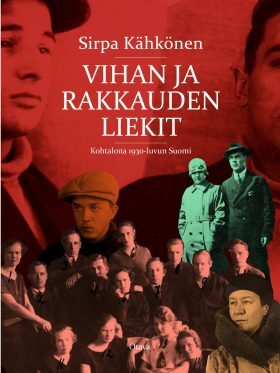 It is a well written, wretched story: not only about the communists who escaped the Finnish prisons and fled to the Soviet Union, where they a couple of years later were accused of Finnish nationalism and shot or sent away to labour camps.